Тут ВВС большой фильм сделала. В прайм-тайм. На весь мир. И что-то я не нашел там ни слова про "клоунаду", про "цирк", про "весь мир смеется". Настоящее получасовое расследование про то, как российские спецслужбы пытаются убить журналиста в другой стране. Found in a pool of blood, Arkady Babchenko, a Russian journalist and critic of President Putin, was declared murdered in Ukraine in May. But a day later he was back from the dead, appearing alive and well at a Kiev press conference. Speaking to all the key players for the first time, Jonah Fisher has the inside story of how to fake a murder. Why did Ukrainian security services stage his death? And in the propaganda war between the truth and fake news, what, if anything, did it achieve? 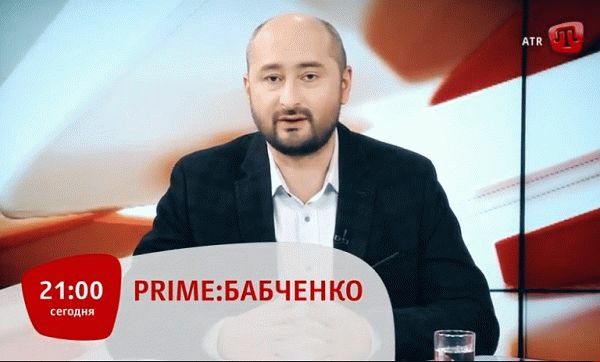 In late May, Russian journalist Arkady Babchenko was reportedly found dead in his apartment in the Ukrainian capital, Kyiv, in what authorities said was the Kremlin’s latest assassination of a dissident reporter. Less than 24 hours later, the 41-year-old walked into the police press conference about his own assassination, alive and well. His “murder,” he explained to the stunned room who might as well have just seen a ghost, had been part of an elaborate sting operation by Ukraine’s secret service, the SBU, to catch Russian hitmen who were really out to kill him and as many as 29 others, according to Ukrainian intelligence. Despite the blowback, Babchenko has remained unrepentant, telling VICE News that the plot to murder him left him with little choice but to cooperate with the SBU’s plan.